As such, team building tactics and activities are an excellent way for employees to develop deeper relationships with one another and grow within their respective career. 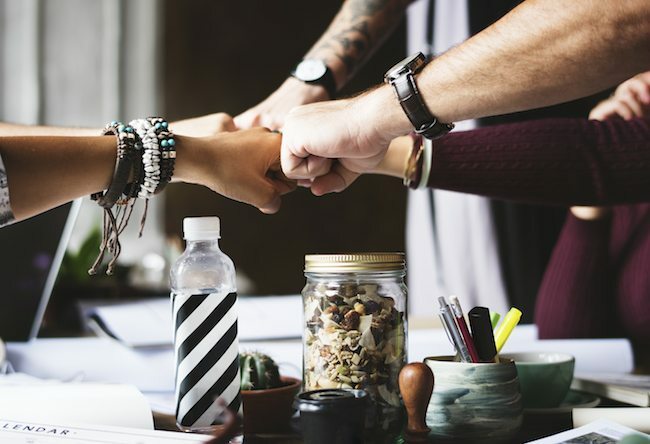 Furthermore, when employees feel like they play an important role on the team, it allows them to be better engaged, productive, happy and best of all, contribute to a strong company culture. So, it begs the question, why aren’t more companies investing in good team building activities? Here are five benefits of team building and why organizations should invest in it. Margaret Heffernan, an international businesswoman, and writer describes social capital as, “the trust, knowledge, reciprocity, and shared norms that create the quality of life and make a group resilient.” From office small talk to overcoming a work crisis together, social capital can take on many forms. It is something that can always be further developed through team building. When social capital is present, the deeper relationships between employees can form. Relationships can help make them a stronger team — willing to go the extra mile for a team member. Lastly, team building helps build a culture of belonging and this belonging can bring out the best in people—higher engagement, retention, etc. Team building is a great underlying tool that builds individual confidence. Have an employee that struggles with making company presentations? Have a team lunch and encourage that employee to discuss with the group something they are passionate about. The more casual and comfortable setting can help them develop their networking skills. In turn, this person will become more confident in speaking to groups. Team building activities, whether it’s developing a new skill or attending a sporting event, can have workplace benefits where employees can apply it to their next project. Newly formed teams that participate in team building and team bonding experiences will work better together than those that do not. Why? In addition to forming better relationships, team building exercises can help employees learn each other’s hidden strengths. Teams can apply these interests back in the office. So when a big project hits a team’s desk, they will be more confident in what roles everyone should take. Moreover, team building can help teams produce better work quality at a more efficient rate. Lastly, team building is and should be fun for everyone involved! When planning an activity, be sure to let employees be a part of the decision-making process. Learn what their interests are. They’ll be more willing to participate. The last thing you want to do is pick an activity one or two people enjoy, and the rest of the team becomes disengaged. Remember, having fun doesn’t have to strip away all the importance of work. As successful team building activities allow for employees to learn about each other and grow mutual respect. At Best Corporate Events, we offer unique programs that combine fun with a higher level of problem-solving, innovation and strategic planning. Furthermore, our events are designed to enhance individual and team growth. Through experiences that have a strong connection to teamwork, trust, and communication, solidifying the cohesiveness of your group while providing key insights and applicable skill sets. Click here to explore our catalog of programs. At the end of the day, companies will be better off when they incorporate team building programs into their organizational culture.